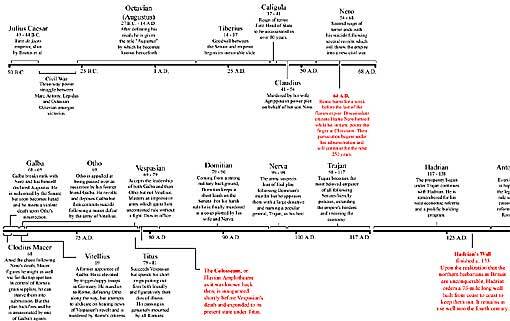 Click here to see the Roman Imperial Timeline. Courtesy of Dirty Old Coins The link will open in a new window. Simply close the window to return. Click here to visit the UNRV website and their wonderful Early Roman timelines. This link will also open in a new window. Simply close the window to return.